Patients with multiple chronic conditions often experience not only the burden of their physical illness but also the burden of treatment caused by the work associated with the interventions prescribed to them by their medical team. 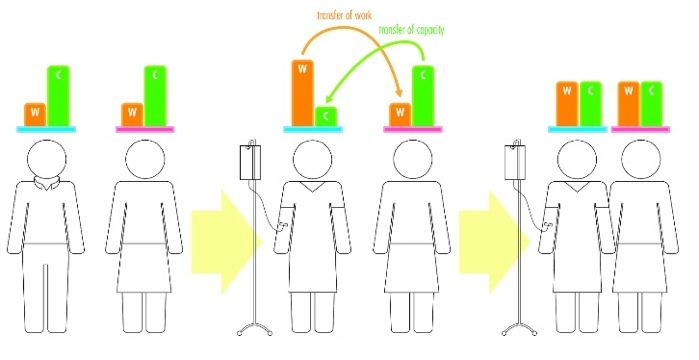 While the work a patient has to do increases, the illness that necessitated the treatment typically reduces a patient’s capacity to do that additional work. The Minimally Disruptive Medicine model seeks to reduce the burden the medical community places on patients in the delivery of care. 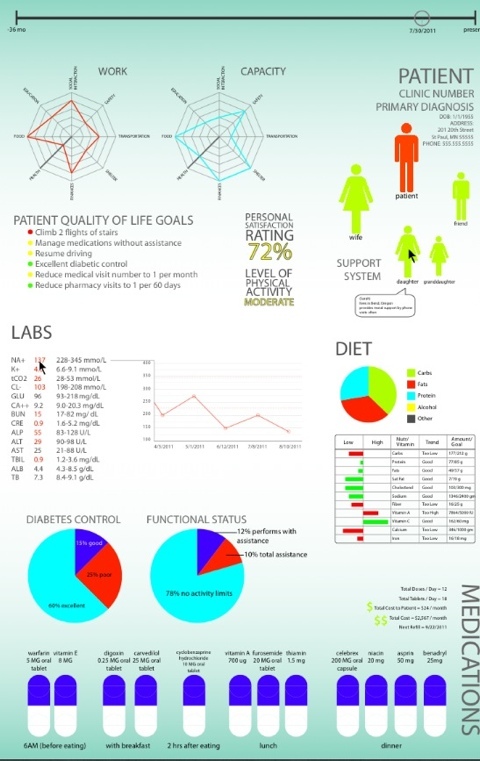 With interventions that range from reducing the amount of paperwork a patient is asked to filled out to consolidating prescription pickup and refill times to coordinating appointments of families and spouses, the Minimally Disruptive Medicine model identifies the elements within the health care system that add more workload onto patients and works to eliminate those tasks from their experience. Care plans are widely recognized as a need across many areas, both inpatient, outpatient and out among community health services. Our vision for a care plan is that it is more than just a document, but a shared reality that is created together with the patient. This speaks not only to the need to create a space for shared decision making among patients, their families, clinic care team, and community resources, but also to display this information in a way that is readily accessible to all involved. The Community Health Transformation platform at the Center for Innovation is connecting with Minimally Disruptive Medicine and Shared Care Plan teams at Mayo Clinic to understand how dashboard tools can help the clinical team, patients, caregivers, and their social support networks to visualize patient goals, levels of health care workload and capacity, and to assist in decision making and interventions. Who benefits the most from minimally disruptive medicine? We are actively working to make MDM a reality in our primary care practice. A key step involves identifying patients who may benefit the most from MDM, or the most intensive form of MDM at least. We will probably need to develop some criteria to flag charts in a busy primary care, yet all these require “conversation” – the healthcare team needs to become aware of the first one, needs to realize the second and third one, and needs to engage the patient for the last one. I look forward to your thoughts and ideas on who would benefit the most from MDM? Katie Gallacher and the MDM Team have just published a typology of treatment burden in this month’s issue of Annals of Family Medicine (http://www.annfammed.org/cgi/content/full/9/3/235). The group have identified core components of treatment burden as reported by individuals with chronic heart failure and state that although further exploration and patient endorsement are necessary, the findings lay the foundation for a new target for treatment and quality improvement efforts toward patient-centered care. Kurt Stange, Editor of Annals of Family Medicine, in this month’s editorial (http://www.annfammed.org/cgi/content/full/9/3/194), states that the group have identified factors that increase the burden on patients and agreed that the paper highlights targets for personalizing care. The important role for MDM, which aims to ease the burden of polypharmacy, improve the organization of care, and increase accessibility and continuity, all of which are reported as key issues, is therefore clear. 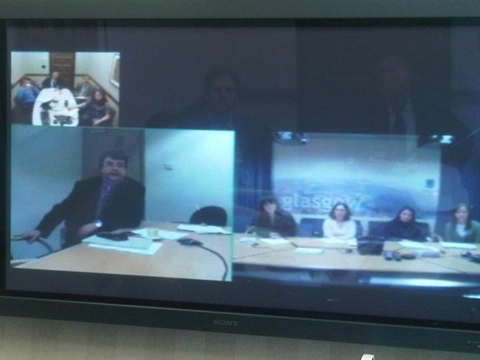 Frances Mair and her team in Glasgow, Carl May in Southampton, and the Mayo Team got together on December 1st via videoconference to launch a more vigorous collaborative. We reviewed the ongoing work in Glasgow (CHF, stroke), and Mayo (patients with diabetes, multiple chronic conditions). Much more to come as we understand the conceptual underpinning of treatment burden, develop measures of treatment burden, and implement them in the context of care of patients. Focusing on the patients’ experience of treatment may lead to a new understanding as to why some patients cannot, despite their willingness and knowledge, follow treatment recommendations. Our team is exploring the aspects of treatments that may constitute treatment burden. Do you have some ideas? For instance, in the United States, patients may need to spend time on the phone, sending letters and faxes, and waiting for responses to obtain new medications, refill other ones, and deal with denials of coverage by their insurer. Are there ways in which the healthcare professionals can help patients by providing adequate assistance and by modifying the regimen to minimize this form of treatment burden? How would they know if they have been successful? Who are the professionals best suited for this work? Social workers, pharmacists, lifestyle coaches, nurses, and physicians working in teams alongside the patient and their caregivers? Utopia? No, we think this is reality just around the corner. Can minimally disruptive medicine teams positively improve the value of healthcare delivery? What are your thoughts? If we in health care are unable to make simple changes in workflows or processes within our care delivery systems, how can we expect our patients to make often complex, and complicated changes, which disrupt a life-long pattern of activity? Who else is in your list?